Born Memphis, Tennessee; Admitted to Bar, 1959. AV Rated Over 35 Years (1980 to present). Education: Mississippi State University, (B.S. 1954), University of Mississippi, (J.D., 1959), UM Law Journal (Editor in Chief). 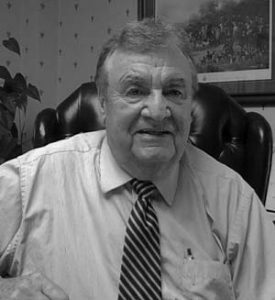 Experience: City Attorney, City of Columbus, MS, 1972-1997. Member: Mississippi Municipal Attorneys Association (Past President), Lowndes County Bar Association (President: 1975); The Mississippi Bar (Commissioner: 1974-1979); Mississippi Bar Foundation (Past President, 1985); DRI (Member). Military Experience: Pilot in United States Air Force & Reserve (1954 – 1959). Practice Areas: Insurance Defense; Civil Litigation; Product Liability Defense.